Not too long ago an article went viral from a wife who reflectively told the story of how she realized one day that all she did was criticize her husband. One day she realized that she was constantly nagging, constantly being critical of his attempts to help her, always telling him how he didn’t do something right. I believe the story came about how one day she asked him to bring home ground beef. That was her request and that was what he brought home. Yet it didn’t please her. He didn’t buy the exact type that she always buys and she ripped right into him. You think your husband should know exactly how you do things. That he should remember exactly how to do things the exact way that you do them. That he should do things that you ask of him in a timely manner. And any time that he falls short you are quick to tell him exactly how he has failed you. This cycle becomes such a habit that is so hard to break free from. Yet it is so easy to fall into. I know that I have been and am guilty of this behavior all too often. My husband is constantly asking me to just give him some grace when he doesn’t get it right. And that’s what it takes to make me realize that I’ve fallen into the critical wife scenario, again. Are you struggling in your marriage? 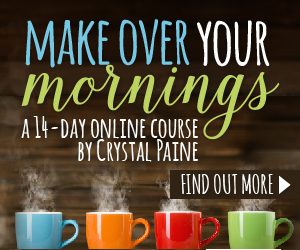 Is your home life full of contention that it’s draining the joy out of everyday life? Do you find yourself critical of everything your husband does? Sooner or later your husband gets snappy at you for never being satisfied. Soon you both find that you’ve drifting apart. Friend, we don’t have to choose this path. We don’t have to let circumstances, hardships or anger, or even a critical habit tear apart your marriage and family. This is what Satan is trying to ultimately achieve. He destroys marriage everyday with scenarios such as these. When God tells us many times in His Word to give thanks in all things we should give some attention to that. Our attitude is vital to changing our behavior. The trick to changing your behavior is to become more thankful. To focus on the good things that your husband does. To think the best of him. To believe that he isn’t purposefully trying to disappoint you. I try to start my days with this mindset. Here is my trick: During my morning quiet time, I add an extra spot at the bottom of my SOAP, I title this Praise. I then write down one thing about my husband that I am thankful for. Either from the day before or for what I want to focus on throughout the day. This simple trick has been a huge help in changing my behavior. Becoming a thankful wife was the key that helped the wife from that viral story change her behavior as well. There is power behind having a thankful spirit and focusing on the good things your man does. You can change the atmosphere in your home with this one simple trick. This one trick has the potential to save your marriage if you are struggling today. If you don’t write out SOAPs, use a post it, a 3×5 card, or text yourself a message that you’ll see many times throughout the day. Pick one thing about your man to be thankful for and think about that throughout the day and praise the Lord about that one thing throughout the day. If you take daily medications, think of this as an extra medication to take. It is that important. When you’re getting your pills ready, think of one thing to be thankful for about your husband. Soon this behavior will become a habit and you’ll find that you are doing it without thinking. Because let’s face it, not every day is going to be a bucket of sunshine, some mornings your man will do something that offends you and you will have a harder time to come up with something. But do it because its best for your overall health. Do it when it is easy and do it especially when it is hard. Because your marriage is worth fighting for. Your husband will be blessed not only by your desire to change your behavior but also by you putting it into practice each day. We are heading into Thanksgiving so now is the perfect time to start making this one daily trick a daily habit! Your turn! Do you struggle with falling into the critical wife syndrome? I would love to pray for you and walk this journey with you as we aim to become more thankful wives. Ahh yes, I’m a fellow perfectionist as well. That makes this so much harder! What a great trick! Constantly reminding ourselves for what we are thankful for about our husbands definitely would do a lot of good, and maybe cure the criticizing. Very good post! It has been such a helpful trick for me since I started doing it! So true, Cheryl. Creating this habit before rough patches come will help you get through those rough patches much better than if you weren’t cultivating thankfulness beforehand. Thanks for sharing! Thanksgiving is the key to overlooking the shortcomings of others and calling out their strengths. Thank you for sharing with the Weekend Whispers community. I agree, Brenda! So glad I’ve found your site recently. Thanks for stopping by! Boy have I fallen into this struggle at times. My husband is always helpful but still he doesn’t do it like I do it and sometimes this makes a critical comment raise up in me. But when I try to be thankful as you suggested I can see through the action and to the love behind the action. You have given some very wise advice today. I’m in the same boat Rebecca. I tend to be a perfectionist or do something myself for so long that it is easier to nitpick when it’s not done my way. Not a good habit! Learning to let go of the perfectionism one step at time. Thank you for the kind words today! Anastasia, that is a wonderful tip. There is research to show that what you focus on grows. If you focus on the good in your marriage, it grows. If you mainly focus on the bad, it grows bigger! Thanks for sharing your wisdom. That is such a good point! We get more narrowly focused on whatever it is we are focused on! I want that to be the good in my husband! Great thoughts here and so true. Visiting from the RaRa Linkup! Thankfulness is a good cure to nagging! Great perspective, friend. I love your beautiful couple picture. Great post! I have been there myself and do not ever want to go back! My husband was gracious enough to give grace instead of biting back! Grace is key and focus on him through the eyes of Christ not what I think he should do or be! Your neighbor at 3-D Lessons for life linkup! Oh my goodness, yes, my husband is so full of grace as well. I am so thankful for that! Excellent! I couldn’t agree more. and I think this works for basically anything that we tend to complain about. if you can think of one thing to be grateful for in any negative situation, it lifts our eyes…. just like Col 3 says. Set your eyes on things above, not on earthly things… for your life is hidden in Christ in God. Good point, I so agree. I think since we are more our true selves around our husbands that it seems easier to be critical or complain about them or to them, ya know? We need to be careful of not getting too comfortable in this spot and actively work towards being grateful for our husbands. I love the book of Colossians! Thanks for jumping into the conversation today-it encouraged me! Yes, yes, yes! I’m with ya! Hello I enjoyed reading your article. I have a question on how to deal with a critical husband? I know he loves me but he also points out quite a bit the mistakes I make. He points out that I don`t pick up after myself and I am not in his words wifey. I want to be a better wife but these habits are going to take a while to break. How do I prevent myself from being resentful of his critiques and not let my self esteem get down? I’m sorry to hear that you are having a hard time, it is no fun to have strife in the marriage. Being critical of anyone is a sin, with that said, you can’t change your husband’s behavior. You can go to him and calmly discuss that what he says hurts you (he may not even realize that his words are affecting you so deeply) and that you know you fall short in the housekeeping department but that you are willing to do better. Ask for him to give you grace as you learn how to keep up with the house cleaning. And then find a system that works for you and do your best to keep at it. The one-touch rule is amazing. If you touch something once just go put it away immediately, don’t set it on the kitchen table or the counter – put it away the first time. It saves you time and energy later. It’s a great way to keep on top of the clutter! As far as keeping your self-esteem up, just remember that your self-worth is not wrapped up in your marriage or how clean your house is. It comes from the Lord. Tell your husband that he is hurting you and then pray and ask the Lord to give you the grace and strength to endure his critical remarks when he messes up. Keep your husband, yourself and the new habits that you want to form in prayer. I struggle with being gracious and I pray every day that the Lord will help me be gracious in all of my relationships. We can only do it in His strength! One last resource, Sarah Mae just released her new book Having a Martha Home the Mary Way. It is a resource for those who struggle with cleaning and keeping up their home. Sarah admittedly says she struggles with cleaning. You might find a lot of encouragement reading it!